Many manufacturers these days are running customer data acquisition campaigns to better target their end-users. One way that manufacturers are going about this is with incentive programs. Makes sense, right? How better to get a contractor’s information than to give him or her something for it? The problem is, these programs can end up circumventing distributor channels in order to gain direct access to the customers at the end of the channel. While some manufacturers may not have any choice in the matter, we’ve found that it can be much more beneficial to include all levels when organizing an incentive program designed to get manufacturers more information on their end-users. If you’re a manufacturer with a well-established channel that your products are constantly flowing through, creating a program that goes around the middle man may cause some frustration from your distributors. From their point of view, they are a pivotal aspect of the channel. 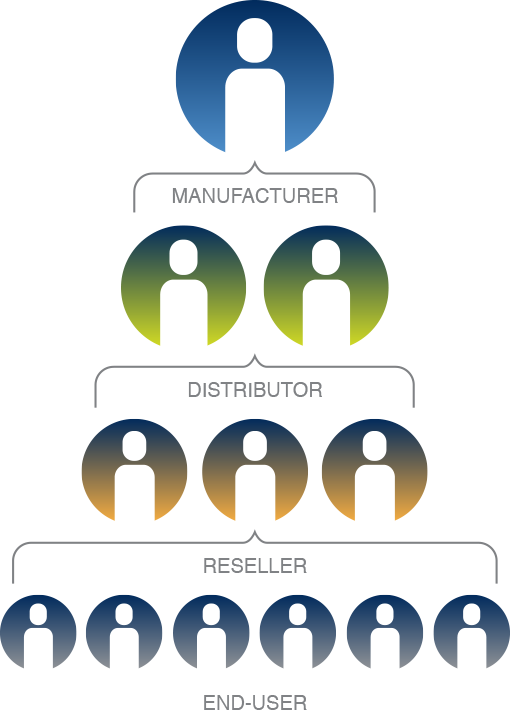 They have infrastructures in place for the distribution and shipping of your product flow after all. Distributors who catch wind of such a program may be concerned that they’re going to be cut out. The reality of this situation is that it can actually be a lot harder to skip the distributor in a program like this. It can also be more expensive because you’re having to collect the data yourself rather than having it supplied to you by your distributor. So instead, you’ll want to partner with your distributors. Many of these partners may go as far as to run the promotion on your behalf. Of course, you’ll want to set up market development funds and guidelines, but it could be a lot easier than running a promotion yourself to contractors you don’t interact with much. However, there are exceptions. Some manufacturers may not have a well-established channel or may not have the right technology to capture the correct information, so they have to start from the ground up. Let’s take a look at the difference between going around distributors and partnering with them looks like. For a manufacturer with no distinct channel funnel or the right technology, getting off the ground can be a little difficult. It’s very achievable, though, so don’t get discouraged if this is you. You’ll be dealing with people who may not be familiar with your brand or which products you sell. If they’ve bought from you before, maybe it’s because of the quality or the price. The program you put together should reward customers and contractors for enrolling and give them a benefit for purchasing after or up to a number of days before enrolling. This could be something like submitting their invoices for points or a chance to win a prize in a giveaway. Once you’ve locked in prizing and operations, your job is to really market the program. Your lack of current data means that the marketing budget will have to be high. There will need to be a lot of advertisements, list buying, and whatever partnerships you can muster with the distributors you currently work with. What your marketing needs to do is push two things: the prizing, and the benefits of being in the program, i.e. rewards for buying your products. Market the program the right way, and you’ll be swimming in contractor data. You can take a look at one of our case studies to get some deeper ideas about how to run a program with no starting customer data. On the other hand, there are manufacturers who have a solid distributor channel in place, the technology to acquire such data, or already have a solid handle on customer data but would like to increase their engagement with this audience. This type of program, often times more successful in it’s channel relations activities, should not only reward the contractors for enrolling and buying products, but the distributor- and dealer-level personnel as well. An example of this would be encouraging the dealer and distributor personnel to enroll contractors into the program. When they do this, that information is tracked, and the person responsible for enrolling the contractor wins rewards similar to the contractor. This would mean a much higher prize budget, but lower marketing budget than the former program type. Even with a lowered marketing budget, every great program needs a solid marketing campaign. One way to lower the prize budget, however, is to work off a ratio rewarding system. For instance, if you would like to reward contractors with points for their enrollment and purchases, the channel partners could receive 10-20% of the points for something claimed by their respective contractors. If you’re looking for more information about this, we also have an award-winning example of how this kind of program can play out. There are different ways to go about customer/contractor data acquisition programs with incentives. Whichever way you hack it, success can be found. All it takes is the know-how to implement the right methods. 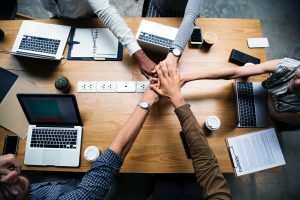 Although we’ve seen more success with programs that include all aspects of the channel, there’s still plenty of ways for a well-run program to succeed in collecting more data without alienating the distributors in your channel.